Croker said the way the side reacted to the Knights’ late push highlighted the Raiders new mindset. Photo: George Tsotsos. In 2018, if the Canberra Raiders lead was cut to just six points with 15 minutes to go, the side more often than not would have lost the match against the Newcastle Knights. It is an understatement to say that the Raiders have struggled with their game management in recent seasons, but their new-found mental toughness kept the Knights at bay. Close losses plagued the Raiders in the past two seasons, winning just five games from a total of 21 games decided by six points or less. The club was hell-bent during the preseason on consigning the close losses of last year to the record books, leaving no stone unturned to fix the issue plaguing the side. 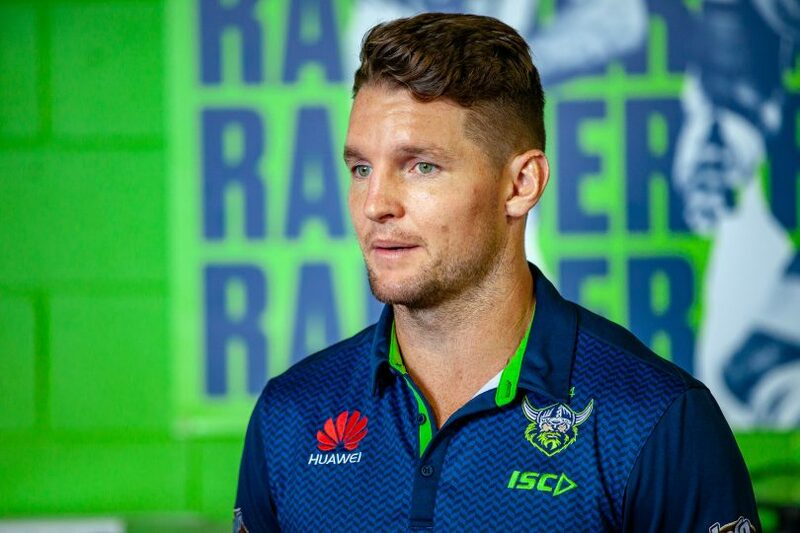 Captain Jarrod Croker said the way the side reacted to three disallowed tries in the first half, handling errors and a late push from the Knights highlighted the Raiders’ new mindset. “We have been guilty in the past of not putting those games to bed or not finishing those games off,” Croker said. “Our reaction to those no tries and a couple of our errors and a couple of our penalties was really good. While Croker was disappointed with the 12 errors and nine penalties conceded throughout the match, he was more pleased with the side’s attitude to their mistakes. “Our reaction to something negative happening has been really good for the first three weeks,” he shared. “There have been times in the game where we have made too many errors or have given away penalties. We have not worried about it, just turned around and defended and backed our defence. A shining example was Jack Wighton’s response to kicking the ball out on the full twice in the first, as the new look five-eighth kept his composure throughout the scrappy contest. “Jack got on with it pretty quickly,” he said. “I tried to force an offload that wasn’t there in the first half which wasn’t on and made the mistake. Squad: 1. Charnze Nicoll-Klokstad, 2. Nick Cotric, 3. Jarrod Croker (C), 4. Joey Leilua, 5. Jordan Rapana, 6. Jack Wighton, 7. Sam Williams, 8. Josh Papalii, 9. Josh Hodgson (C), 10. Dunamis Lui, 11. John Bateman, 12. Elliott Whitehead, 13. Ryan Sutton. Interchange: 14. Siliva Havili, 15. Hudson Young, 16. Sia Soliola, 17. Corey Horsburgh. Reserves: 18. Joe Tapine, 19. Jack Murchie, 20. Bailey Simonsson, 21. JJ Collins.